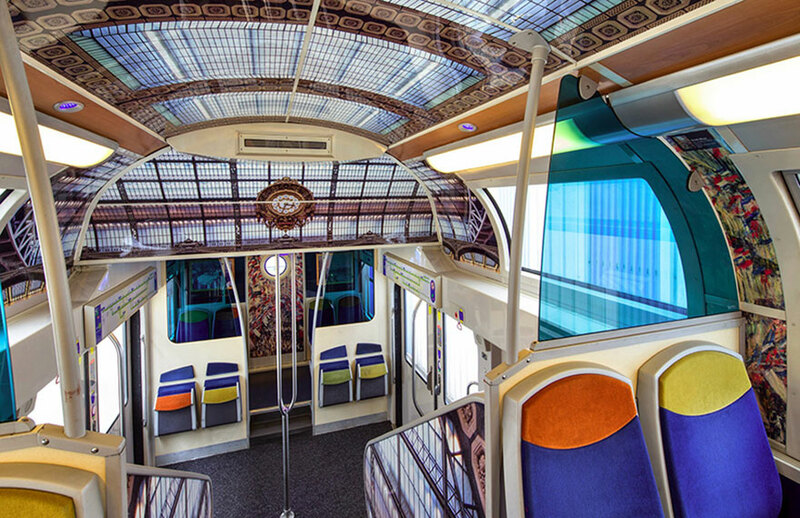 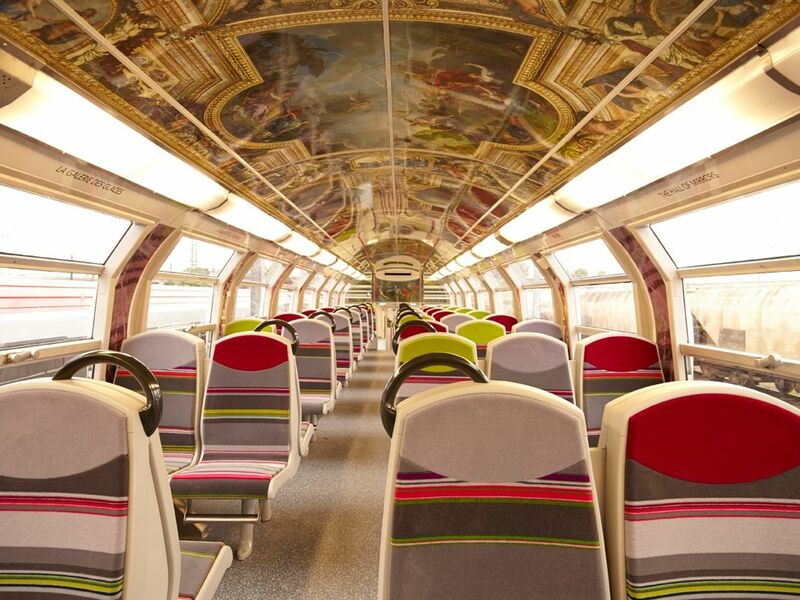 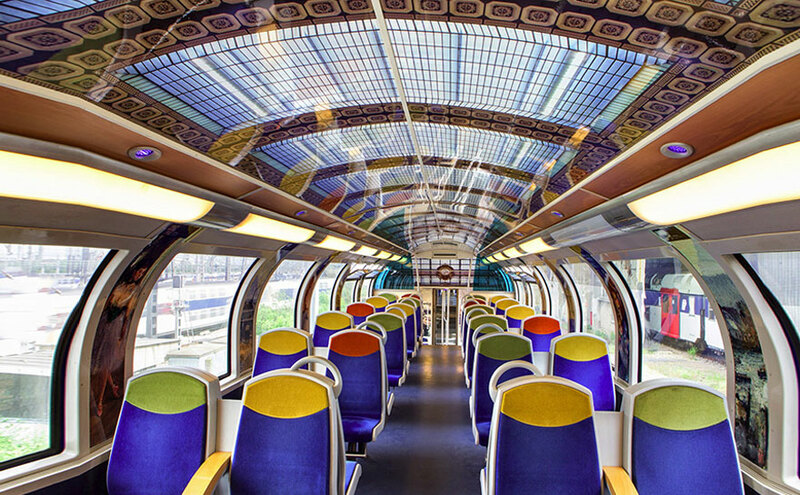 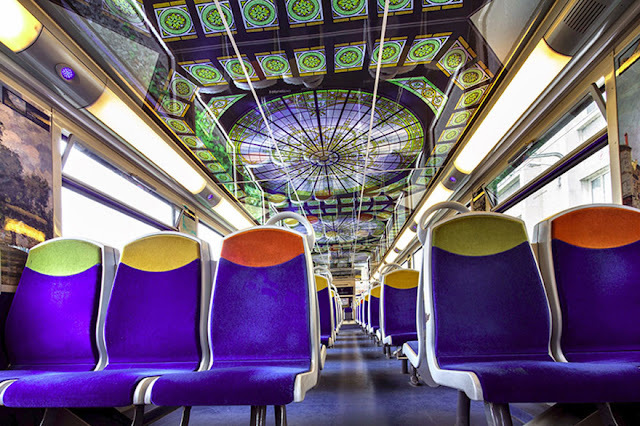 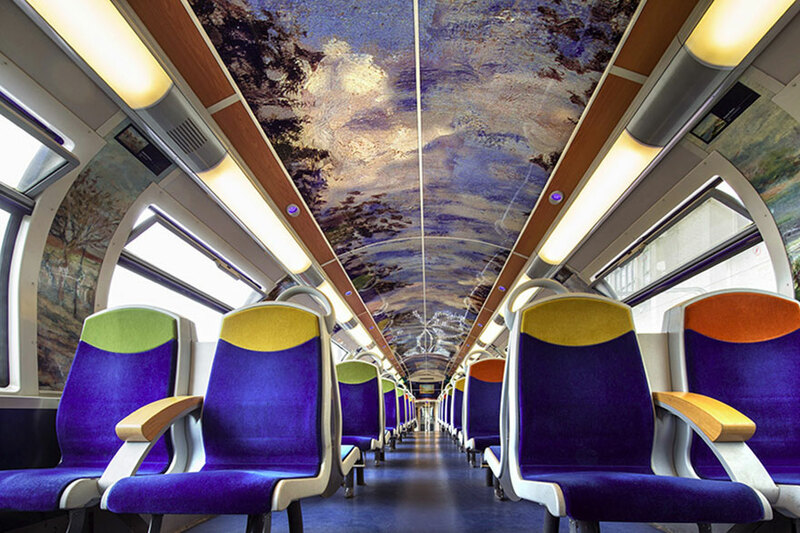 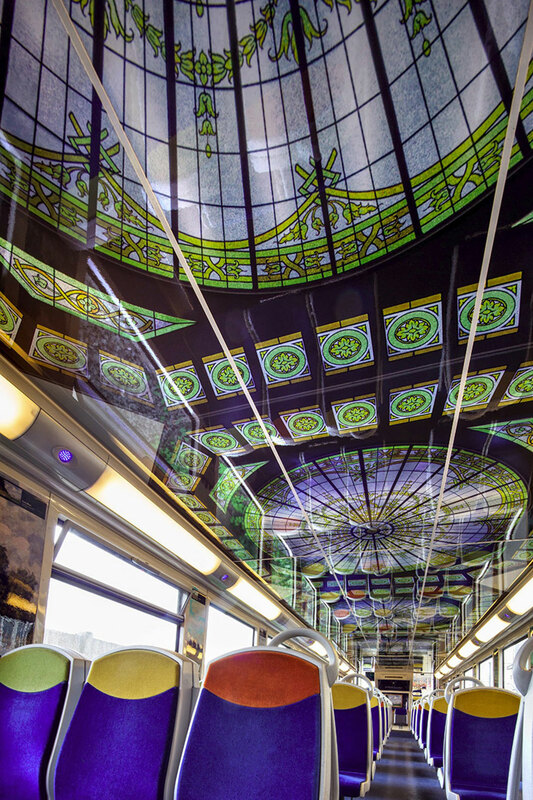 Working in collaboration with American manufacturing company 3M, the SNCF has been giving trains a series of artistic makeovers. 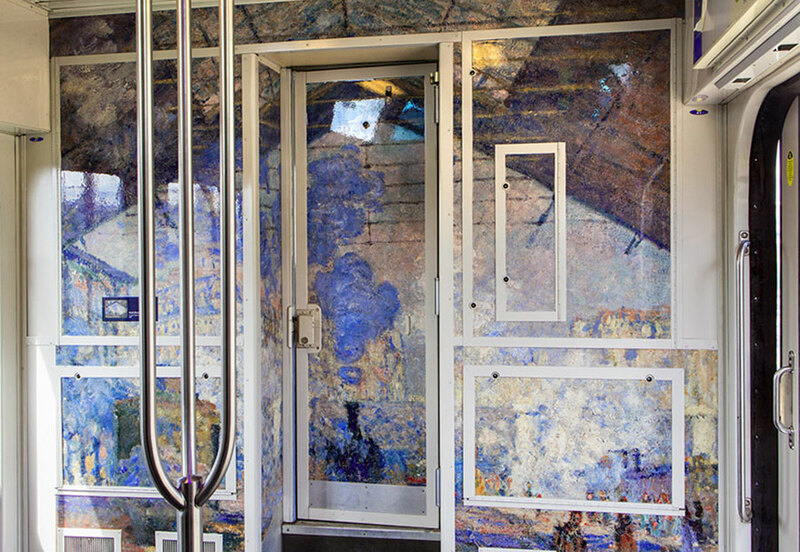 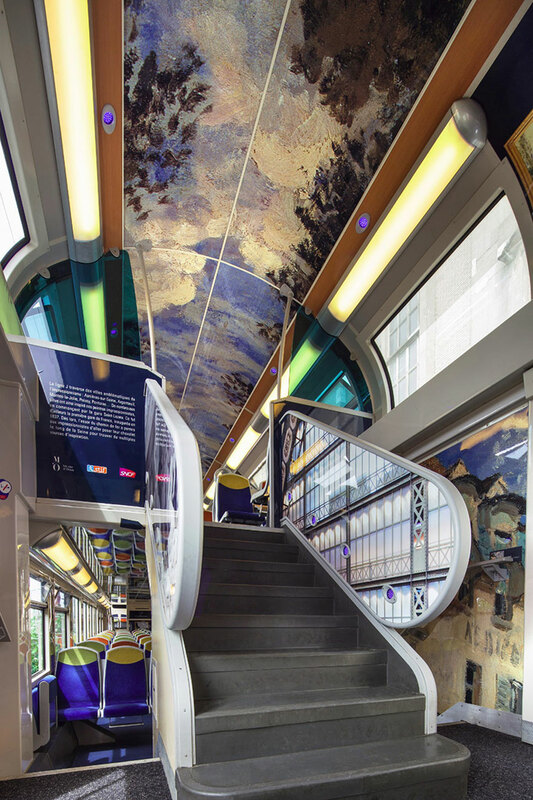 They cover the interiors with graphic film that contains various famous works of art for passengers to peruse. 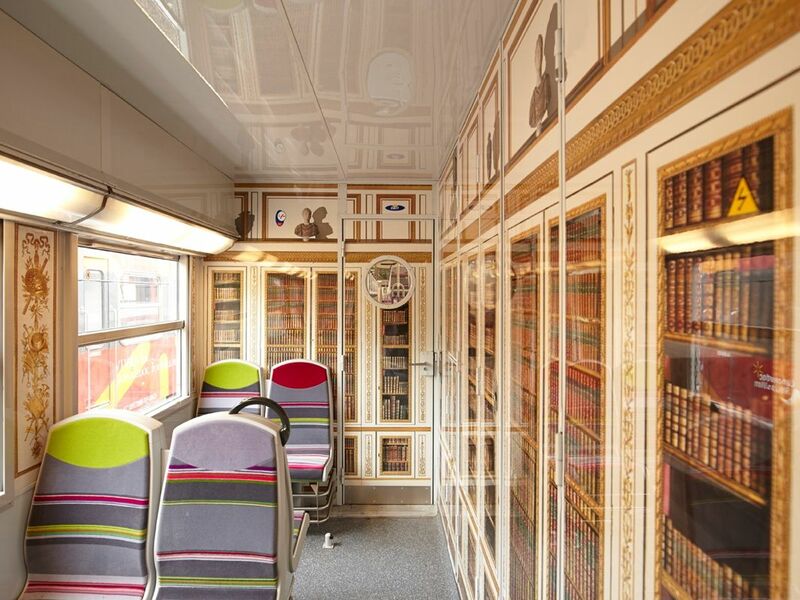 Designs include flowers and furnishings from the Palace of Versailles, impressionist art from the Musée d’Orsay and images from Cinéma Gaumont, the oldest film company in the world.